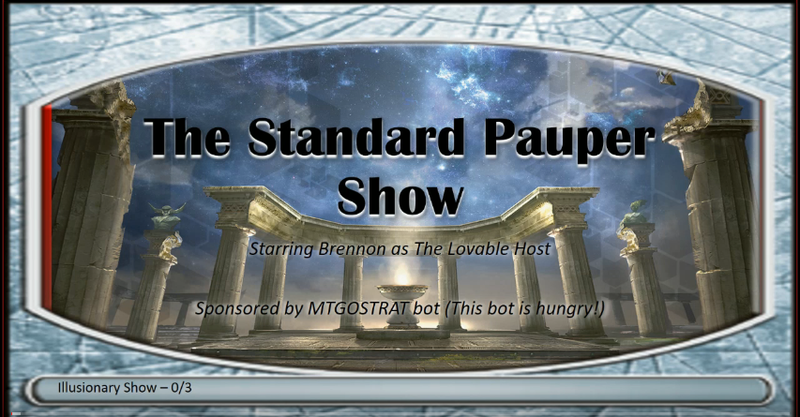 Today we bid a sad farewell to the Standard Pauper Show. Earlier this week, the hosts of this fantastic video podcast announced via Twitter that they will no longer be producing the MagicGatheringStrat Show. 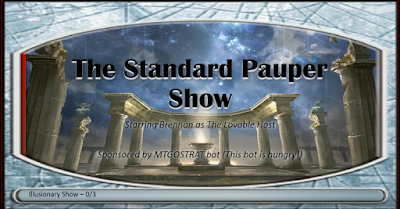 For quite a long time, this show was dedicated to the world of Standard Pauper, covering both our our major tournaments each week as well as looking at a particularly interesting decklist. And while the show's focus eventually expanded to cover a more broad range of topics, this was still a great resource for our community of players. For this last episode, they went back to their roots, providing a full recap of both SPDC and MPDC this past week. So to honor their great show, I thought I would allow this final show to take the place of my normal Standard Pauper metagame update for the week. Enjoy! Farewell, guys. You will be missed. Sorry to see them go. Was a great show.